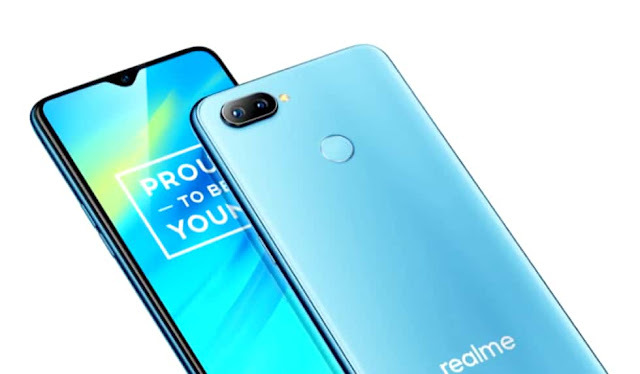 Realme launched the much awaited smartphone Realme 2 Pro today in India. The key features of the new Realme 2 Pro are FHD+ dewdrop display, Snapdragon 660 processor with up to 8GB RAM, dual AI cameras. The Realme 2 Pro price in India begins at Rs. 13,990 for the base variant and it is exclusively available on Flipkart. Talking about full specifications, the Realme 2 Pro comes with a 6.3-inch FHD+ full-screen dispaly with 90.8% screen-to-body ratio and new dewdrop notch. Under the hood, it is powered by Snapdragon 660 AIE processor with up to 8GB RAM and up to 128GB internal storage. As far as camera, it sports a dual rear camera setup with a 16MP primary camera with f/1.7 aperture, 1.12μm pixels, and a 2MP secondary camera. It also comes with a 16MP front camera supporting AI beautification features. The camera additionally supports 4K video recording. Connectivity options on this smartphone incorporate dual 4G VoLTE, Wi-Fi, Bluetooth, GPS, and a smicro USB port. It is backed a 3500mAh battery that can offer an entire day with a single recharge. The phone runs on ColorOS 5.2 based on Android 8.1 Oreo. The Realme 2 Pro 4GB and 64GB model is priced at Rs. 13,990. While the 6GB and 64GB model costs Rs. 15,990. At last, the high end 8GB and 128GB model is priced at Rs. 17,990. The phone will go on sale from October 11 exclusively on Flipkart. If we discuss about launch offers, Jio users will get up to 1.1TB data and benefits up to Rs. 4,450 on purchasing the Realme 2 Pro and No Cost EMI options are aditionally available on Flipkart. The smartphone will available in Black Sea, Blue Ocean, and Ice Lake color options.